Do you know what’s the must have in every mom’s list? …. Diapers! Yes, and lots of them :-)… can we ever imagine a life without them!! Be it disposable or cloth, a mom can never get enough of them. 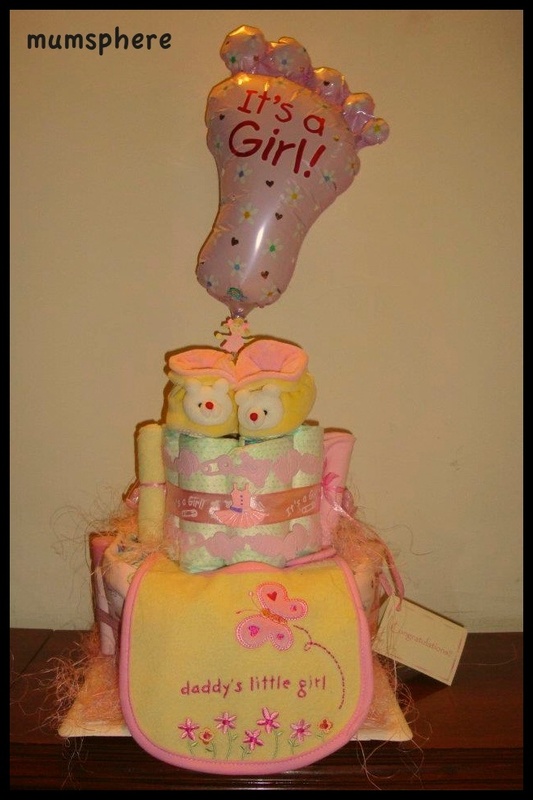 On Lv’s birth my very close friend gifted me Diaper cake from Buttons & Bows……yes, a cake, non edible one, it that had loads of diapers and goodies for new born. The one I received had a personalized message and was beautifully tulle wrapped. It had Diapers, Wrapping sheet, Baby Bib, Booties, Washcloths, onesie, socks and pair of mittens. It looked so stunning that I didn’t even open the pack for few days 🙂 and though it looked heavy but was light to pick and was very sturdy. I generally dont like giving gift vouchers or cash and I spend hours searching for perfect gift that looks Great and is useful for moms. I think one can never go wrong with diapers; they are needed in excess and everything in that cake is usable! You can get it 100% customized keeping in mind mom’s need, preferred brands and your budget. 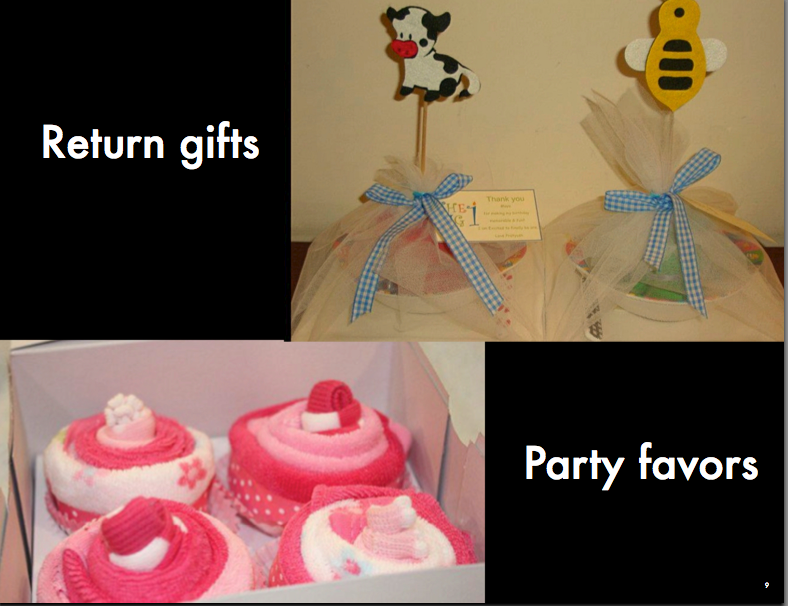 These diaper gift are created in 100% non – smoking and non – pet design studio so it makes it 100% safe for babies. “Button & Bows” believe as each baby is unique so are their diaper cakes 🙂 so; get your own customized diaper cake!!!!!!!! They do lots of designs here are few favorites of mine! They are generally priced between Rs 1500-4000 ( keeping in mind the design and goodies). Party favors and return gifts are priced differently keeping in ming the goodie costs. Disclaimer: I recieved this product as a gift and all opinions and views expressed here are mine. Poonam, aren’t they just adorable. 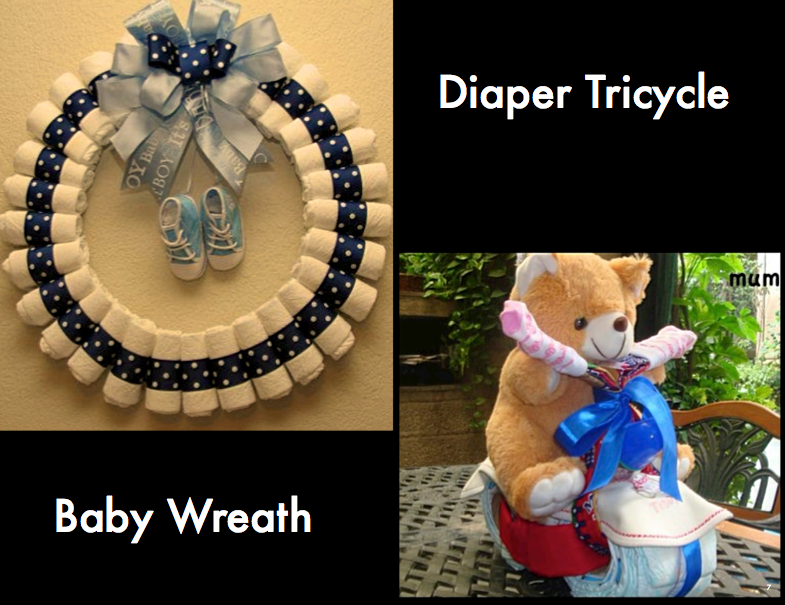 they make such a perfect baby shower gift!! !